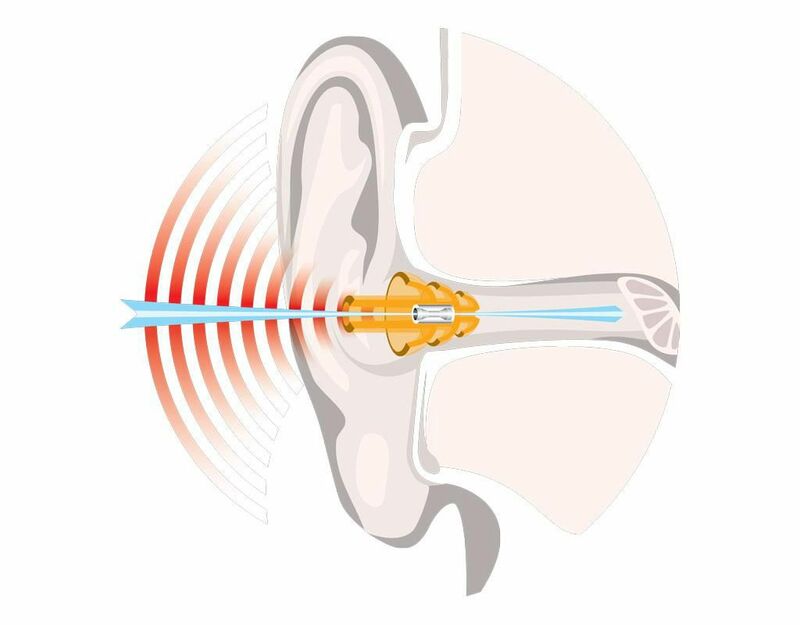 The worlds only dedicated ear plug designed for motorcycles that is precision tuned to reduce wind noise AND allow clear conversation. No other earplug currently does both. Did you know that after 15 minutes at 100km/h your hearing is already damaged? Noise levels are measured in decibels (dB). At sound levels of 110dB or more, you will risk immediate and permanent hearing damage. At lower sound volumes (80-110dB) the risk to your hearing is dependent on the duration for which you are exposed to the sound. 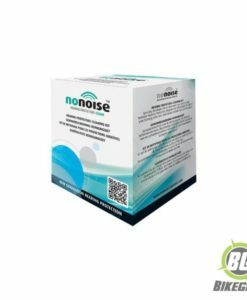 The noise volume we can withstand ‘without damage’ for a few minutes represents a significant risk of hearing damage if the period of exposure is longer. Hearing is a refined and susceptible sense. Tens of thousands of minute hair cells pass on noise to the brain, through vibrations. Too much noise – and hence too many vibrations – damage these hair cells forever as they will never grow back. Hearing damage of this kind is therefore definitive. At a sound level of 80 dB NIHL occurs. Tests have proven that the volume of wind noise underneath a helmet is significantly higher. 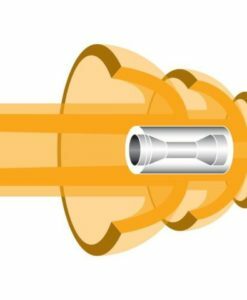 Furthermore as an example in the EU workplace for any noise volume starting at 80 dB employers are required by law to offer their employees hearing protection. 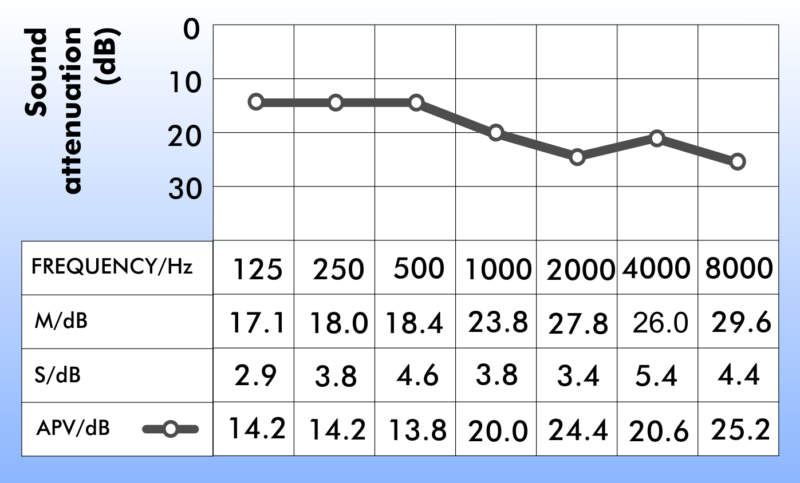 Motorcycle use subjects riders constantly beyond this 80dB threshold. Yet we ride unaware of the long term damage. Note that the dB scale is logarithmic, i.e. an increase of just 3dB results in the effective doubling of the sound strength; this also means that for every increase of 3dB the time it takes to cause permanent hearing damage is halved. Apart from hearing damage, other health complaints like tinnitus, hypersensitivity to sound, high blood pressure and early age-related hearing difficulties are caused by excessive exposure to loud noise. 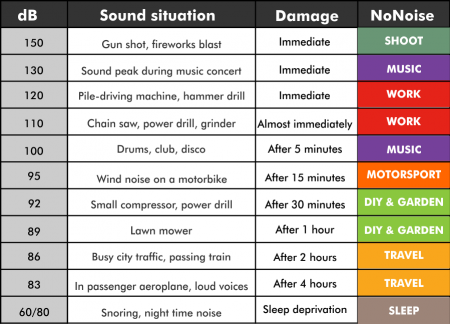 The following chart provides some examples of noise levels and the damaging effect they can have at different exposure times. 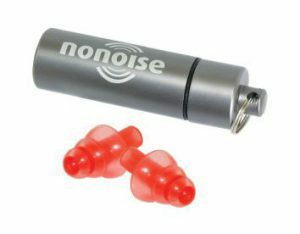 What makes NoNoise earplugs different to standard earplugs? 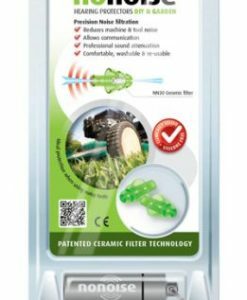 Precision noise filtration via a patented Venturi ceramic filter. 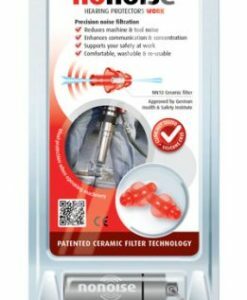 Each ceramic filter is precisely tuned for a specific task. Allows normal conversation, while effectively turning down volume on other noise with no muffling (occlusion) effect. 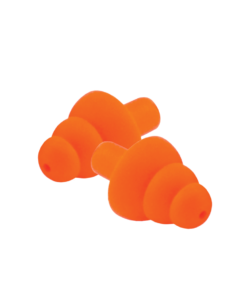 No other earplug, currently available, allows for simultaneous noise reduction and normal conversation. Unique tri-sectional design for ultimate comfort and suitable for all ages. Silicone-free, hypoallergenic thermoplastic for ultimate comfort. Will dampen all noise and will not allow for clear audible speech or the ability to hear other road signals (hooters, sirens etc). when one closes the opening into the ear canal and the loudness of low pitched sounds increases. This manifests itself as amplified noises within ones cranial cavity e.g simple swallowing sounds much louder etc. When combined with bike Communication systems such as headsets, GPS communicators or iPods one is forced to turn the volume up to compensate, which is self defeating. The NoNoise units represent a quantum leap forward in hearing protection for motorcyclists. 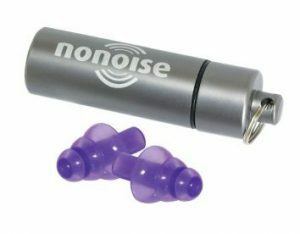 NoNoise allows for high frequency sound dampening, clear speech, no occlusion effect or pressure equalization issues. Their design ethos is to dampen the most damaging higher frequencies resultant from wind noise on a bike but still enable the rider to hear speech, road noises and, for example, GPS directions. For motorcyclists these criteria are not mutually exclusive: yet, until now, current ear protection treated these as separate entities. 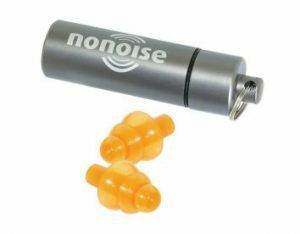 Please note that the Nonoise earplugs have NOT been designed to block all noise. 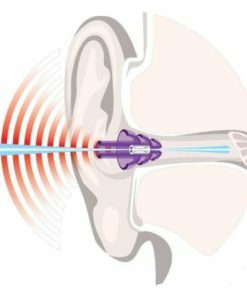 What they will do is protect your ears from the most damaging frequencies while still providing the user the ability to hear clearly combined with no occlusion or pressure related issues. From our perspective we believe that the ability to hear what is going on around you is crucial on a bike. As important is that your ears are protected from excessive dB levels. If complete noise blackout is what is required then these units are not for you. Such units are freely available but bear in mind have their caveats mentioned above in 7-10. 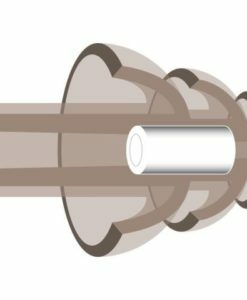 Furthermore the majority of such units have never been clinically tested and as such merely represent a crude form of “earplug”. 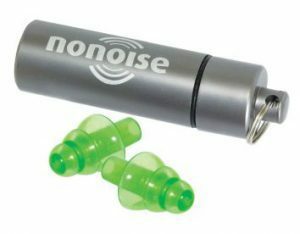 NoNoise MOTORSPORT Hearing Protectors are precisely tuned for optimum attenuation at the frequencies required by motorsport enthusiasts, particularly motorcyclists. 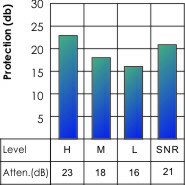 The independently measured mean sound attenuation (EN352-2:2002) is 29.6 dB at the higher (most damaging) frequencies. NoNoise Motorsport protectors are independently tested and approved in Germany. Motorsport: ensures maximum protection from dangerous levels of engine, wind and road noise. 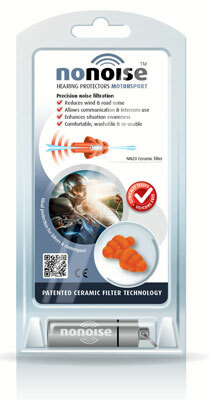 Unique filtration allows conversation, sirens and horns to remain clearly audible, with no muffled effect. Designed for Motorcyclists. Sleep: reduces annoying noises like snoring, yet allows you to hear a normal conversation or “alert” noises such as a baby, door bell or alarm clock. Travel: atmospheric pressure on eardrums during take-off and landing is regulated, allowing for more comfortable travel. Speech remains clearly audible. conversation without a muffled effect. Watersports: Regular water contact inside the ear can cause bacterial build-up, irritation and damage. 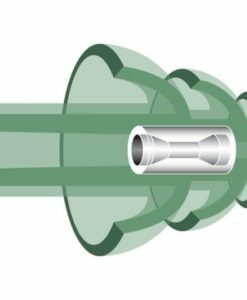 This unit will protect the middle ear and ear drum from water contact while speech remains clearly audible. 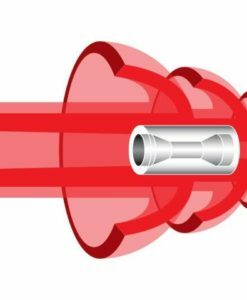 100 dB; amplified music at festivals, concerts or clubs can reach 130 dB. Permanent hearing damage can occur from 85dB. 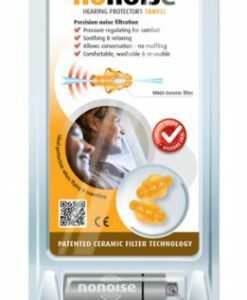 The precision-tuned patented ceramic filter reduces volume but does not deform the sound and lets you listen clearly to a surrounding conversation – ideal for all music lovers. DIY and Garden: DIY and garden machinery produce noises levels up to 100 dB. 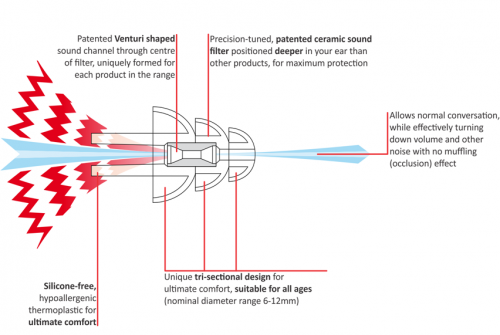 Permanent hearing damage can occur from 85 dB so it is essential always to use hearing protection. surrounding conversation without a muffled effect. 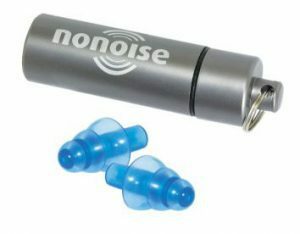 NoNoise Motorsport Ear Plugs are the  world’s only affordable ear plug system designed specifically for motorcycles that are precision tuned to reduce harmful wind noise and allow for clear conversation. 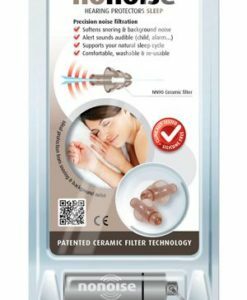 NoNoise Sleep Ear Plugs reduce irritating background noises e.g snoring, yet still allow you to hear ambient sound, ensuring security and a better nights sleep. 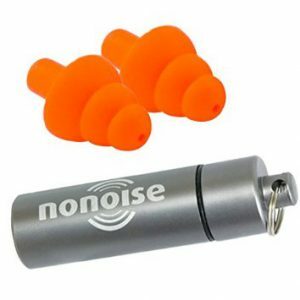 NoNoise Work Ear Plugs protect your hearing in loud Factory settings while still being able to hear a conversation. Also recommended for Harley style bikes. 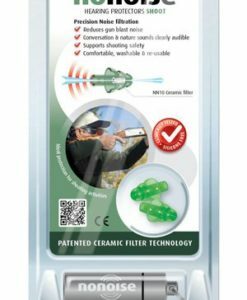 No Noise Ear Plugs for shooting are developed to protect your ears from loud gunshots and fireworks, yet still allow for clear conversation. 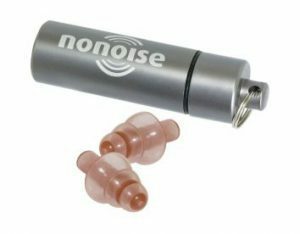 NoNoise Ear Plugs for Travel reduce aircraft noise and equalize eardrum pressure, making air travel more peaceful and enjoyable. Arrive refreshed ! 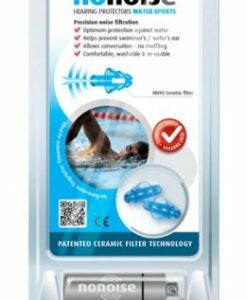 NoNoise Swimming Ear Plugs protect the middle ear and ear drum from water contact while still allowing for audible conversation. 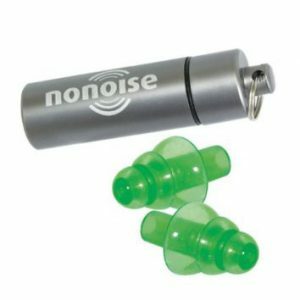 No Noise Music Ear Plugs protect your ears from damaging loud music. 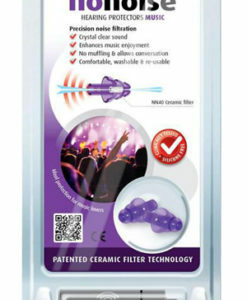 Ideal for concerts, raves and headphone junkies. Live to hear another day! DIY and Garden ear plugs protect your ears from damaging tool noise e.g angle grinders and gardening machines e.g lawn mowers. Speech however is still audible! 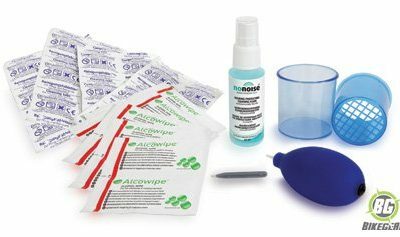 Cleaning Kit for NoNoise ear plugs.